LOUISVILLE — Presbyterian congregations in the U.S. will be able to learn about the struggles and successes of church work in Venezuela this fall when the moderator of the Synod, Presbyterian Church of Venezuela visits in September. The Rev. 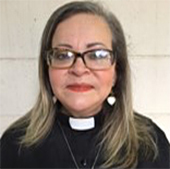 Zulema Garcia is a pastor of the Western Presbytery of the Presbyterian Church of Venezuela. Venezuela has been facing unstable times in recent years as the rise and fall of oil prices have created problems for the nation’s economy, causing friction between various political groups and prompting many to leave the country. Government officials estimate as many as 3 million people, or 10 percent of the country’s population, have left Venezuela in the past 20 years. Many who held high paying positions are now settling for low paying jobs just to get by. “One of the things that I am working on now is how to help so many families that have migrated to different countries and connect them so that they feel supported by a church, receive spiritual, psychological support, attention and care,” said Garcia. Upon her arrival in September, Garcia says she has a lot to share with U.S. audiences. “I am participating because the Coordinating Board of the Synod of the Presbyterian Church of Venezuela, considered that my participation as moderator was important since it had elements that we can present to churches,” she said. Garcia is one of 10 international peacemakers visiting the U.S. as part of the Presbyterian Peacemaking Program. They will be speaking in churches, seminaries and other gatherings between Sept. 21 and Oct. 15.